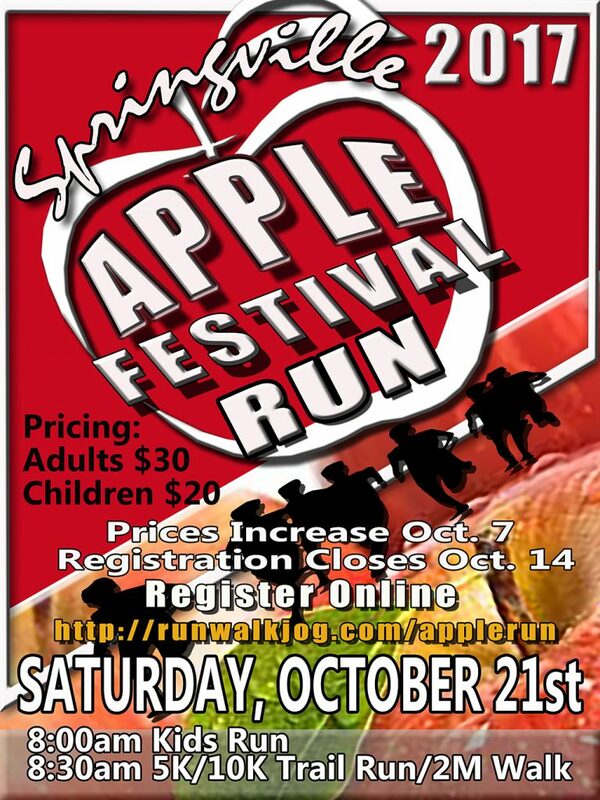 The Springville Apple Run has been an integral part of the Apple Festival since 1981, the year the festival was founded. The Apple Run’s founder, Carol Lapham, believed a run would be a great way to showcase Springville. Finding a course was initially very difficult. Part of the original course required runners to travel down Highway 190 Saturday morning amid all the traffic coming to the Apple Festival. Thankfully in 1989 the late Bruce Borror made his ranch, Sequoia Ranch Estates, available to the race organizers. 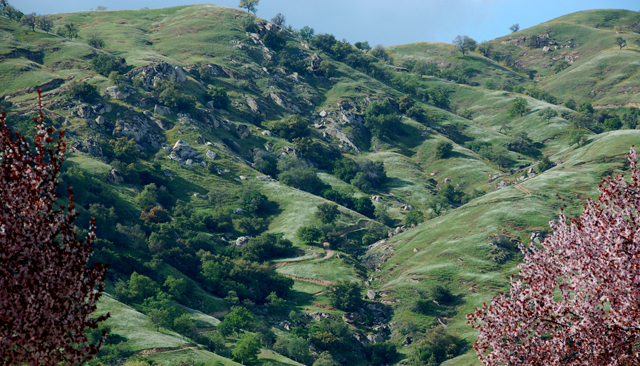 For the last twenty-five years the Borror family have given runners a beautiful and challenging race course, following the winding Tule river, cow paths, and steep hill climbs with views of Springville. The Apple Run enjoys broad support from the community. Winners of each age category receive hand made awards from Springville Elementary School. Refreshments are donated by local farms Bear Creek Apples and Pleasant Valley Ranch. The Walmart Distribution Center provides raffle prizes for participants in the kids race. Over 20 sponsors provide raffle prizes for participants. Every year at least 30 community volunteers help mark the course, register participants, keep official race time, and serve refreshments. Beginning of the 2017 Springville Apple Run on Bridge Street crossing the historic bridge (built in 1965) over the Tule River.